Canyon Creek and Little League International believe that every child should be allowed to participate in baseball. 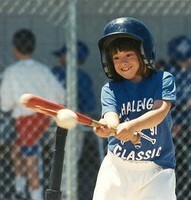 Does your child enjoy baseball, but have mental and/or physical challenges? Little League has a program for them! The Little League Challenger Division is a program for mentally and/or physically disabled youth that allows them to enjoy the full benefits of Little League participation in an athletic environment structured to their abilities. If Canyon Creek is unable to fill a team with players from within our League, we partner with California District 57 and other leagues in the area to ensure all players have a meaningful and enjoyable playing opportunity. More than the skills learned through the experience, the value in the Little League Challenger Division is found in the proven therapeutic and socialization benefits of participating in sports, the strengthening of the participants' self-esteem, the opportunities to participate with other divisions of play, the disciplines of teamwork, sportsmanship and fair play. All of the aforementioned points are hallmarks of the Little League program. Teams are set up according to abilities, rather than age, and can include as many as 14 players, who can participate in one of three levels: Tee-Ball, Coach-Pitch or Player Pitch. If more details are required on the program, the Little League International Online website has a section dedicated to the Little League Challenger Division. For an overview, you may also download the Little League Challenger Division brochure. If you have additional questions, please contact Rick Charles, CCLL's Challenger Director.